Advanced Drying Processes. The moisture analyzer provides the user with 4 Drying Modes and customization of Auto Switch-Off to provide users with complete control over moisture content processes. Hands Free Operation. Through the use of the built in proximity sensors, users are provided the opportunity to have actions performed through programming certain actions for each IR proximity sensor. Easy-to-read 5" Touch Screen. 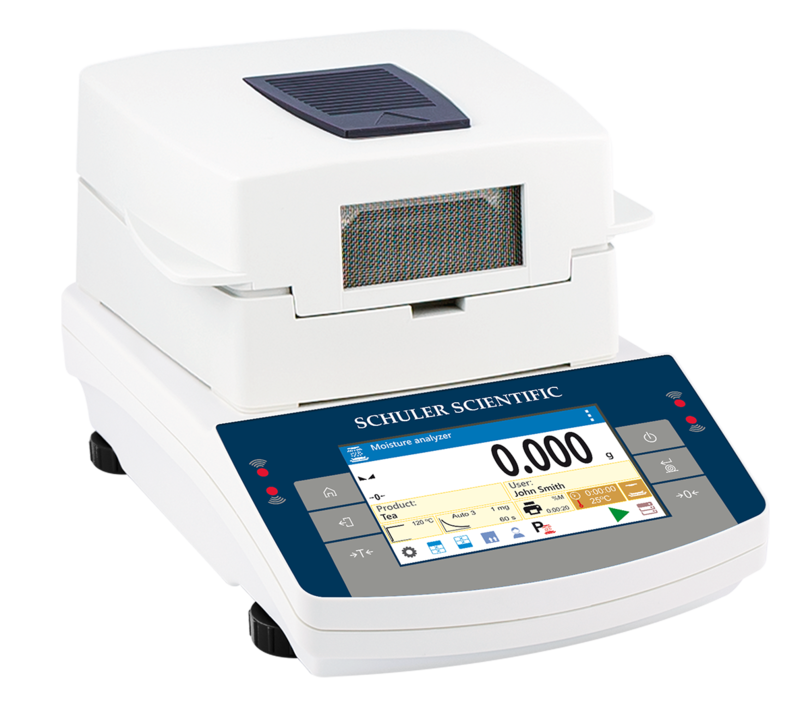 Easily navigate the the moisture analyzer display and customize the screen to fit your moisture analysis needs.